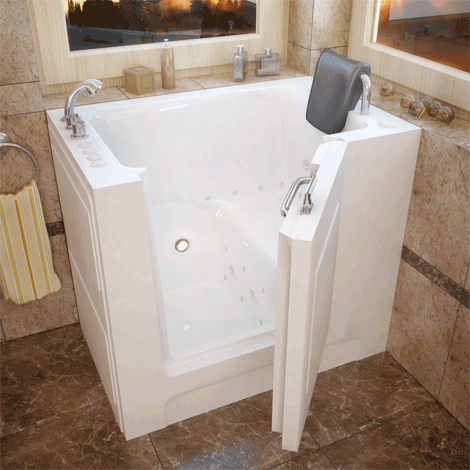 Arizona Therapeutic Walk-In Tubs carries a variety of top rated walk in bathtub models, made in the USA for your safety. 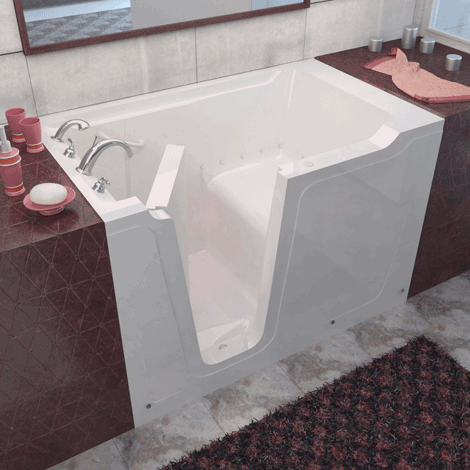 We carry only the best walk in bathtub models made in the USA and built with adherence to ADA Standards and Requirements. 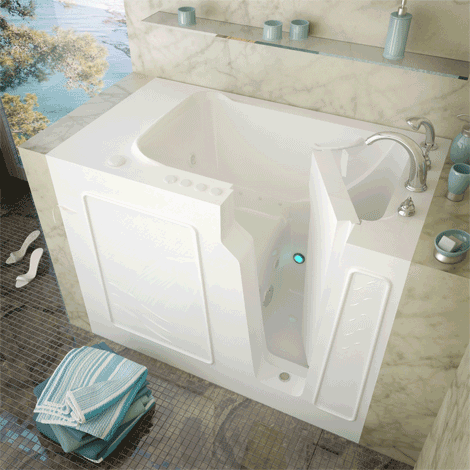 With more and more demand for walk in bathtub products, foreign manufacturers are importing walk in bathtubs with some safety and health concerns. 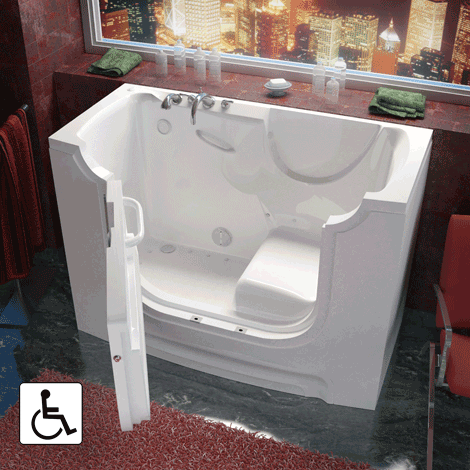 It’s important when deciding on a specific walk in tub model that you ensure the walk in tub is ADA compliant and has one or more of these certifications; UL®, IAMPO/RAT, UPC®, IPC®, or ETL and is approved for use in the US. 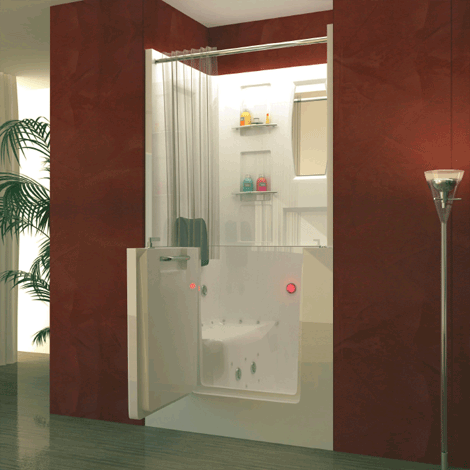 Some imported walk in bathtub products may not adhere to these requirements and can impose a threat to the safety and well-being of those using them. 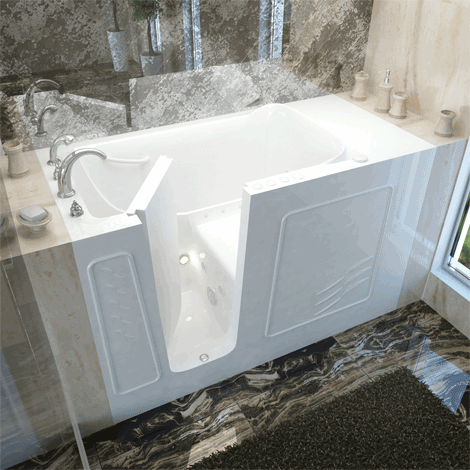 Our customer’s satisfaction is our top priority and we strive for excellence by only providing the walk in bathtub models that are built with the quality standards we require for our customers safety and well-being. 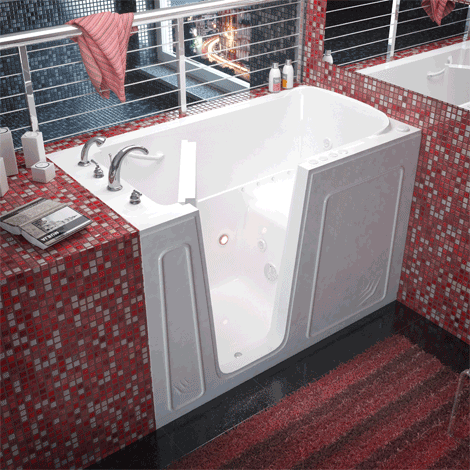 You can be confident that you are getting the best walk in bathtub models at a fair price with a dependable company that you can trust. 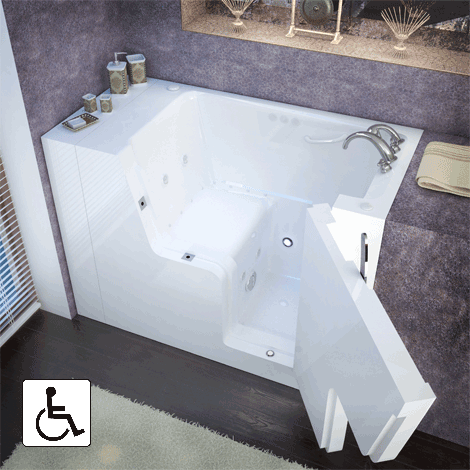 Our walk-in bathtubs are designed to provide a safer, healthier bathing experience for active seniors, elderly people, people with disabilities, people with limited mobility, or anyone looking for a safer and more comfortable bathing experience. 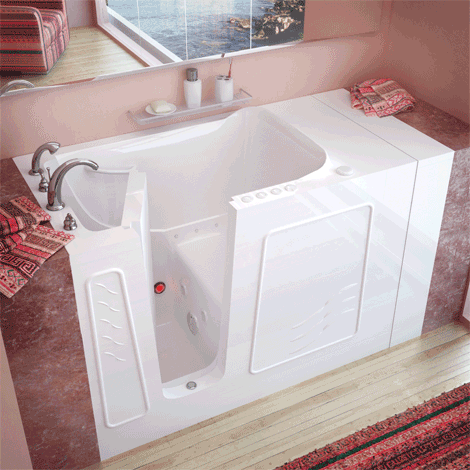 Our walk-in bathtubs are made in different sizes and configurations that fit into a standard bathtub or shower space while providing safety and convenience of walk-in accessibility. 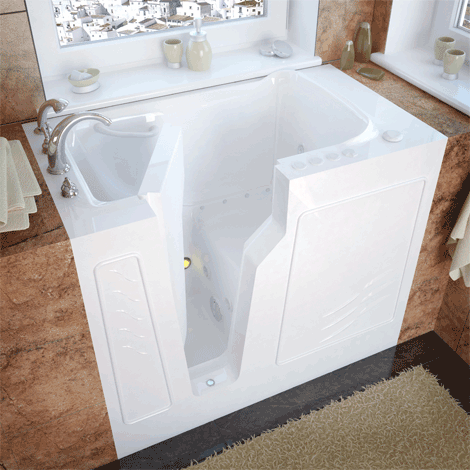 All of our walk-in bathtub models are available with or without hydrotherapy options and come with a hand held shower. 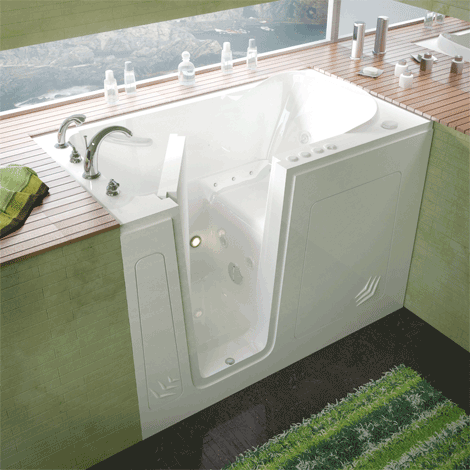 Enjoy the stress and pain relieving benefits of a walk-in bathtub with hydrotherapy! 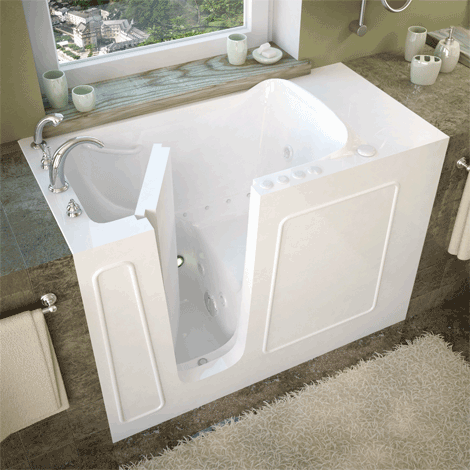 If you are unsure which walk in tub is right for your specific needs and space requirements our friendly associates are available by phone at 877-629-5003. 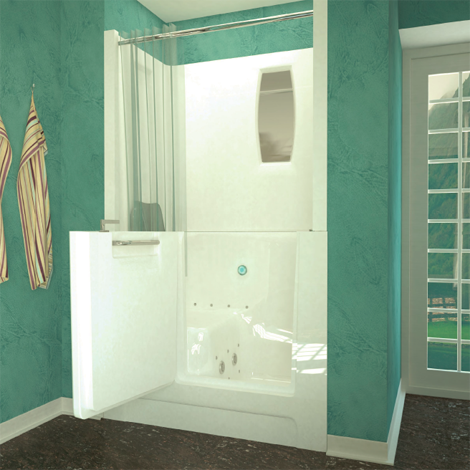 We also offer a free in-home consultation to Arizona residents and since we are local, that means we offer the fastest in-home consultation, delivery, and walk in bathtub installation. 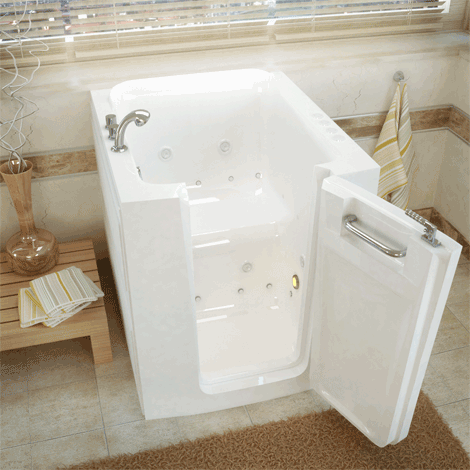 No other out of state provider can offer faster, more convenient service than Arizona Therapeutic Walk-In Tubs. 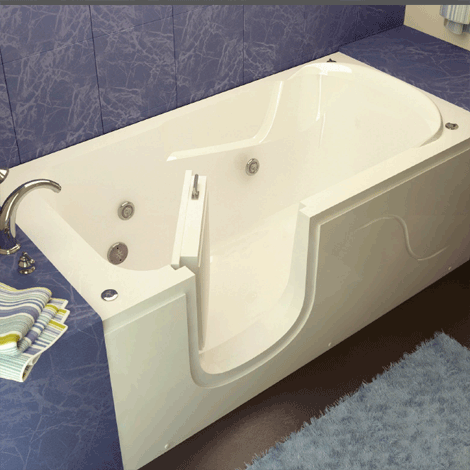 *Our walk-in bathtub information and schematics have been carefully checked and are believed to be accurate; however, no responsibility is assumed for inaccuracies, and product information may change at anytime. For product information contact us at 877-629-5003 to verify accuracy of product information.